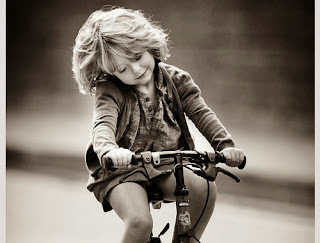 When I was a very little girl, I was a very big dreamer. I would dream out different scenarios, occupations, and outcomes for myself. I would pretend and play out varying roles and romances in the privacy of my pink wallpapered bedroom. All stories concluded with happy endings. All situations showcased me as a leading lady accomplishing, achieving, and advancing in some significant way. Some days, I would become a secret agent masterfully obtaining those ever-necessary covert plans. Some days, I would become a stranded castaway on a tropical island with only my beloved animal friends to play with and amuse me. Some days, I would become Princess Leia, dressed head to toe in flowing white garb along with her signature "Cinnabon" buns. Some days, I was one of Charlie's Angels... you know, the Angel that knew Kung Fu, who always wore sparkly pink outfits, and who loved Reese's Peanut Butter Cups... of course!!! Yes, imagination was always a close, comforting friend. I loved to dream excessive and BIG - where the possibilities of my doing good remained believably attainable and beneficial for all mankind. It is interesting how our dreams are put into question when we are forced to see the real life of our sinful surroundings. When our eyes are opened to the wrong that is real rather than the wrong that is imaginary and make-believe. My eyes were opened at the Joy's house one warm, summer's day. Mr. and Mrs. Joy were long-time church-going friends of my parents. Regularly, we would visit their home to hang out, eat, and swim in their large, above ground pool. There were two key things to enjoy every time we visited the Joy family: (1) an endless supply of Dr. Pepper, and (2) lots of swimming! Mr. Joy was successful in business and always had the latest and greatest gadgets and what-nots. Mrs. Joy and Momba were the best of friends and could literally giggle a whole day long. It was always joyful at the Joys, and I loved visiting their home. The Joy's had two girls close to both mine and my brother's age. Cathy Joy was their oldest. She was quite intelligent and drop-dead gorgeous. Of course, while growing up, my brother had the biggest crush on Cathy. He tried not to show it, but acted strangely like Fonzie whenever we visited their house. Really, I couldn't blame him. For Cathy was completely mesmerizing as a person. From my vantage point, she was older, more sophisticated, and world-wise in all things fashion and charm related. Furthermore, all the cute boys liked her at our church, and all the girls wanted to be her very best friend. Yes, Cathy was the bee's knees! Her bedroom was tastefully decorated, neat, and filled with the latest and greatest of modern toys. Also, Cathy seemed to excel in everything she set her mind to. Wow... Cathy Joy. Awesome. Laura Joy was the younger of the two Joy girls. Laura was equally smart and also "celebrity" beautiful. But Laura was closer to my own age which somehow made her more relatable and real to me. Laura's heart was bigger than the sky as she willingly shared every doll she owned with me. We'd often play Barbies while waiting out the adult-regulated hour to pass between eating our lunch and swimming like dolphins in the pool. Laura and I always had fun drinking too much Dr. Pepper and seeing who could burp out alphabet letters like a boy. Also, Laura was the very first person to admit to me that she had once pee'd in the pool. Ah, Laura Joy. Good times. Anyway, one day out of nowhere Cathy Joy asked me to join her for a neighborhood bicycle ride! WHAT???!!! ME???? What an honor! Yes, yes, I would go bicycle with Cathy! Wow... I was definitely moving up in the world. To rub shoulders with Cathy Joy on a true "friend" basis! To tour the town with Cathy Joy! This was something really BIG! My imagination began to run wild with all the best friend things we would soon be doing together. Just me and my "older" and more sophisticated friend, Cathy. Yippee! Sorry, Laura Joy... I can't play little-girl Barbies or burp with you anymore. Instead, CATHY and I will be doing grown up things together, like bicycling throughout town. I felt myself growing an inch taller just dreaming about it. Cathy proceeded to tell me a long, drawn out story about how she had found candy hidden in varying locations all around town. "Candy?" I squealed with excitement as my mind raced with sugary possibilities! "Yes... and sometimes the candies found were Reese's Peanut Butter Cups!" she added. Now, I know what you are thinking. WHAT? CANDY? Victoria!!! Have you gone mad? But in my defense, it was the 1970's and I was REALLY a small child in the care of a somewhat older child. I'd always been naive in my youth because most of my life was centered around my blind father's medical needs with Momba doing her best to care for him while keeping our family together. So, when "THE" Cathy Joy promised a secret candy loot was mine to be had with only a simple bike ride and a few turned over stones... well, I was in! ALL IN PEOPLE!!! Every time thereafter, whenever we visited the Joy's house, I attacked Cathy with the same question, "Can we go on a bicycle ride, Cathy? Can we? Can we? Can we, pleeeaaasseee?" And for the first four or so times afterward, we did. We bicycled all around town laughing together and talking about where the candy might be stashed. Searching for those elusive Reese's Peanut Butter Cups. Oh, I was so hopeful to find just one, that I could almost taste it. It was so much fun. Then, one grim Saturday afternoon, Cathy took me on a historic bike ride that would change everything. After riding a few blocks away from their home, Cathy steered off the road and asked me to come sit with her on a big tree stump. There she confessed the following, "Vic, there is no candy. I lied to you. I really just wanted to go for a bicycle ride a few weeks ago, and mom said I couldn't go alone. So I made it all up. We can't keep looking for Reese's Peanut Butter Cups every time you visit because they simply aren't there. I lied, and I'm sorry. Would you forgive me?" Whhhaaaaaaaa!!!????? My heart sank as I tried to process Cathy's words. She LIED!!! Cathy Joy lied... to me!!! Who would do such a thing? Who would make up something like that? And why? Also, how could I so easily have believed it? Was I just that dense? Was I a first class idiot? Cathy Joy had swindled me into believing something I desperately wanted to be true, and now I sat there - a stunned fool. Not Cathy Joy! Not my very best friend in the whole world! Wait, were we ever best friends? Gulp! Noooo, Cathy! As truth settled into my psyche and tears welled up in my eyes, I became more and more devastated. I turned to Cathy and whispered in dramatic anguish, "Whhhhyyyyy?" She looked down at the ground embarrassed and kicked the dirt with her sneakers. Finally, she answered, "I don't know. I just lied. I'm sooo sorry, Vic. Let's just forget about it and go swimming, ok?" From that day forth, the world was different to me. Sure, I forgave Cathy. I forgave... but I could not forget. Nor could I ever trust another with my grand imagination. No, that effort had proven to be too tricky. For I had strongly, passionately, and wrongly believed Cathy's lie. A lie I really wanted to come true. I had manufactured a friendship that was false, and adopted a goal that was futile. As a result, that day my eyes were opened to the wrong that is real rather than the wrong that is imaginary and fixable in my own private make-believe. You see, in my make-believe the covert plans are retrieved and national security is restored due to my craftiness and sound judgement. But in real life, clearly my intuition is sketchy and unreliable. My "spidey-senses" are off. Alone, I am not immune to being bamboozled or led astray - no matter how savvy I might think I am. So how does one move forward from that? How do I now live relaxed, hopeful, joyous, and with real vision and purpose? It comes down to answering this: Who can we trust with everything? How can we dream big and still do good? What is reliable, honest, and honorable in this broken world of dishonest promises and disappointing paths? Friends, prayerfully consider all the wrong that is real in your life - the sin that draws out your selfish hunger causing you to waste time turning over burdensome boulders while seeking after earthly idols. Are you seeking after pleasures that cannot fulfill? Are you spending your valuable time looking around sinful places and listening to opinions that do not matter. Pause and take an honest inventory of where your heart is truly focused each day. Are you humbly and obediently trusting the Lord to guide your every step, or are you distracted and delayed in your own made-up forms of false glory and selfishness? Are your eyes ever on the Lord... or are you being snared, bamboozled, and led astray into strongly, passionately, and wrongfully defending something that God is against? There is only One holy voice you can trust. There is only One correct path to follow. There is only One Way, One Truth, One Life who is completely reliable, honest, and honorable. That One is Jesus. No other - not even ourselves can be depended upon. Only Jesus. His integrity and uprightness protects, guards, and rescues us from all the wrong that is real in our lives. His loving kindness generously longs to give us the desires of our heart. Because of this, we must spend our days seeking Him, Believers! Living in His freedom - and dreaming excessive and BIG under His guidance! You see, today is the day where the possibilities of doing good in Christ's love are indeed attainable and beneficial! His friendship is real. His will is always successful! Obey His Word and share with Him your deepest desires. Then see what He'll have you accomplish in His magnificent grace! Always... ALWAYS... follow the King! WOO HOO! My hope, my trust, is in the Lord alone! My salvation belongs to Him! Ahhhh, wonderful Jesus! There is nothing sweeter than You, Lord!